A Great Getaway to an Amazing Place! This was the trip of a lifetime! 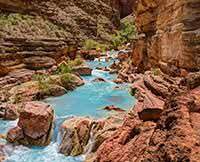 A Grand Canyon whitewater rafting adventure. The Western River guides shared their knowledge of the Grand Canyon as we went down the Colorado River. My favorite part of the trip were the side hikes. One day we hiked to four different waterfalls! Sleeping out under the stars was awesome. I saw shooting stars on most nights. The food that was served was freshly made at the bottom of the canyon and really delightful. This was camping with style! The thing that surprised me was the wonderful bond that formed among the people on the trip. 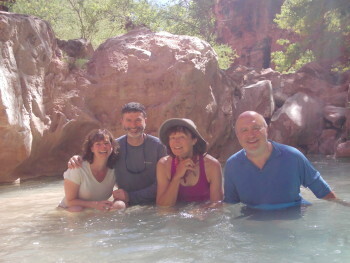 We all arrived on the trip as strangers and left the canyon as close friends.